(TibetanReview.net, May21, 2016) – China said May 19 that Gyaltsen Norbu, the man it appointed as the 11th Panchen Lama back in 1995 in place of the one disappeared by it for having been recognized by the Dalai Lama, Tibet’s exiled spiritual leader, had visited the Jokhang Temple, Tibet’s most sacred shrine, at the start of his annual government organized visit to the Chinese ruled region. The Panchen Lama is Tibet’s second most eminent religious figure. The symbolic importance of beginning his visit from Jokhang lies in the fact that it was here in Nov 1995 that China oversaw his enthronement as the 11th Panchen Lama in a deliberate snub against the Dalai Lama and as an assertion of its power over the Tibetan people. Also, the Jokhang’s most sacred content is Jowo Shakyamuni, an image of the Buddha brought to Tibet by the Chinese Tang princess Wencheng when she was given in marriage to Tibet’s powerful seventh century king Songtsen Gampo. China’s official Xinhua news agency May 19 stressed both these points while reporting on his visit. The report said the now-26-year-old religious figure China has imposed on the Tibetan people paid homage to the Shakyamuni statue. 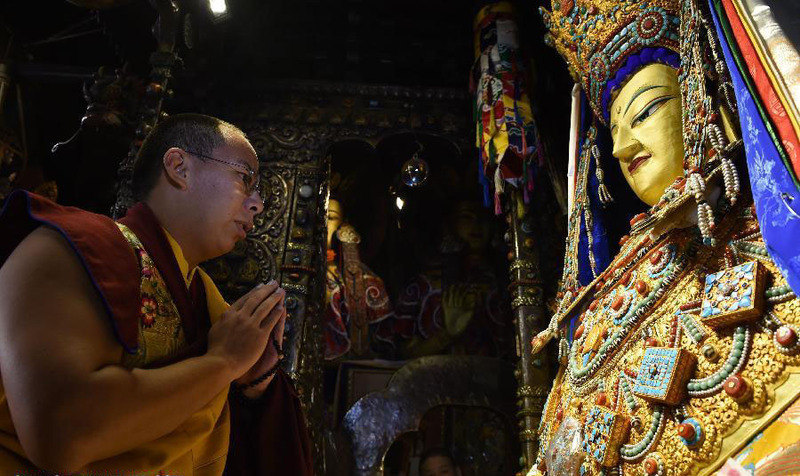 The report said he had arrived in the city on May 17 for his annual visit to Lhasa and that he will hold more religious activities during the visit. The Panchen Lamas have traditionally lived in and presided over his seat monastery of Tashi Lhunpo in Shigatse City. However, today, while the 11th Panchen Lama recognized by the Dalai Lama has continued to remain disappeared ever since the Chinese government took him away with his family in 1995, Gyaltsen Norbu lives and studies in Beijing under the supervision of the Chinese government. He is presently a vice president of the Buddhist Association of China and a member of the Standing Committee of the National Committee of the Chinese People’s Political Consultative Conference, supposedly the country’s top political advisory body having no real power.